When I look back and try to pinpoint the exact moment my anorexia began, one memory comes to mind. I was a 12-year-old aspiring professional ballerina in a program that demanded nothing short of perfection. Until 7th grade, I’d been naturally “skinny” and was consistently praised for having the ideal ballerina body. Then, puberty. I put on weight — a healthy amount, according to my doctor. 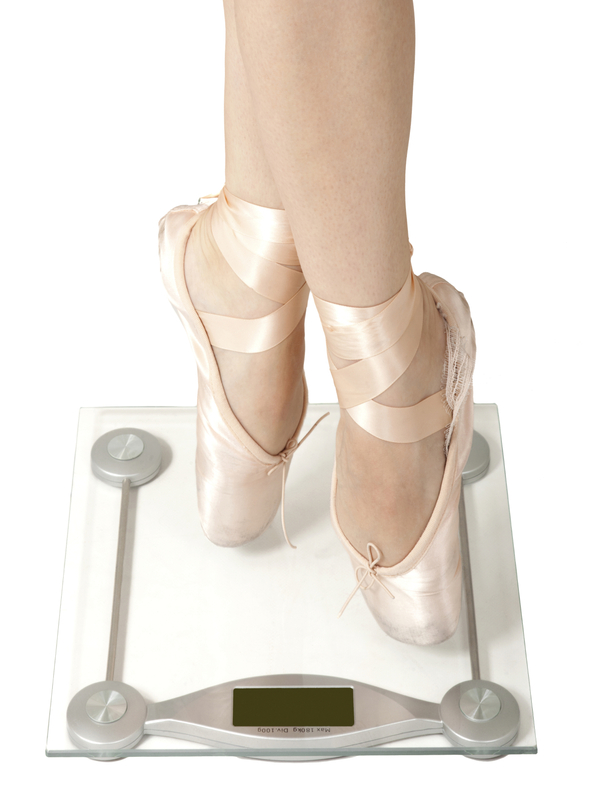 Inconveniently, this weight gain directly coincided with "The Nutcracker" season. That evening, I frantically Googled “quick weight loss methods.” A diet of fruit, carrot sticks and rice cakes should do the trick. I could lose those 10 extra pounds before opening night. No problem. Over the next few weeks, I gleefully watched as the number on the scale dropped. I also fought through dizziness and weakness as I danced for 30 hours a week. When it was time for the final costume fitting, I smiled smugly as the wardrobe mistress told me my costume was now much too big and would have to be taken in. In my mind, I’d won. I initially viewed the weight loss as a “crash diet” that would end after closing night. But tracking the number on the scale became an addiction. Plus, I figured if I was really serious about becoming a professional ballet dancer, I couldn’t let my weight creep back up. I continued to starve myself and purge what little food I did eat. At home, I did my best to hide my weight loss under sweats and baggy clothes, but the changes didn’t go unnoticed by my mom. She took me to a therapist, who diagnosed me with anorexia and anxiety disorder. I regularly, if angrily, attended our weekly sessions, but they proved ineffective. A month before I graduated 8th grade, I was hospitalized. It wouldn’t be the last time. Over the years, I was considered “recovered” multiple times only to relapse and find myself back in a hospital or residential treatment center. Along the way, I made many lifelong friends who told me how their parents had modeled unhealthy dieting behaviors. In one extreme case, a fellow patient’s mother had encouraged both her daughters to develop anorexia. She had even coached them on how to “fake” their weights during doctor appointments by chugging gallons of water and hiding objects in their pockets prior to weigh-ins. A fellow patient’s mother had encouraged both her daughters to develop anorexia ... coach[ing] them on how to 'fake' their weights during doctor appointments. A lot of things factored into my eventual recovery but beyond therapy, the biggest factor in my recovery was my mom’s healthy relationship to eating and exercise. It’s not enough to tell your children “all bodies are beautiful” and “I’ll love you at any size.” If kids see their parents crash dieting and hear them berating their own bodies, they’ll internalize that mindset, thinking it’s normal and healthy to go on a “cleanse” that doesn’t end. Of course, not every child who witnesses unhealthy behaviors will develop an eating disorder. According to the National Eating Disorders Association, certain individuals are genetically and biologically predisposed to developing eating disorders. But we can never know which children are at risk. That’s why it’s so important to emphasize the importance of healthy eating and exercise habits. If your child does develop an eating disorder, it doesn’t mean you have failed as a parent. Eating disorders come from a complex combination of environmental, biological and cultural factors. While it’s easy to feel helpless when your child is going through such a difficult time, you can aid recovery at home. As I worked on my own recovery, I closely watched my mom’s behaviors. During the holiday season and on special occasions, she doesn’t hesitate to indulge and she never says she’ll skip a meal to “make up” for it. My mom loves to attend her exercise classes, but doesn’t force herself to work out when she feels under the weather. Exercise, she says, should be about overall mental and physical health, not weight loss. Watching this, I learned first-hand how to better take care of myself. Every day, kids see unhealthy bodies held up as the ideal but we should never underestimate the impact a parent’s own behavior can have to counteract these hurtful and sometimes dangerous messages. When a parent leads by example, it makes a world of difference. Believe me, I know.